This means you’re almost ready to decide how big your solar power system should be and work out how quickly it will pay for itself, so you can decide whether to invest in solar or not. There’s one more thing you need to do first. You need to decide how your solar-powered home will heat its water. We have to do that now because your decision can affect how many panels you’ll need. Water heating is responsible for up to 28% of a typical energy bill – so it needs your attention as part of this project. Remember, the project is all about getting your bills right down. If you already have an existing solar thermal hot water system and you are happy with it, then you can jump to Step 4. If you don’t know what a solar thermal hot water system is, or currently heat your water with gas or electricity, then read on. If you currently have a gas hot water heater, you may think that a solar electricity system will have nothing to do with your hot water. You may even be about to skip this step entirely. But hold on a second. Let’s quantify the problem by estimating how much gas you currently use to heat water in a year. Most four- to five-person homes will spend about $1.50 a day on gas for water heating – about $550 per year. If you have a one- or two-person home, this will be closer to a dollar a day. If you use LPG gas to heat your water, you’ll probably be paying through the nose for it. LPG is about three times the price of mains gas. There are two types of electric hot water. The most efficient is the solar heat pump. Although heat pumps are a relatively cheap and very efficient solution in many parts of Australia, sadly they are installed in less than 2% of Aussie homes. 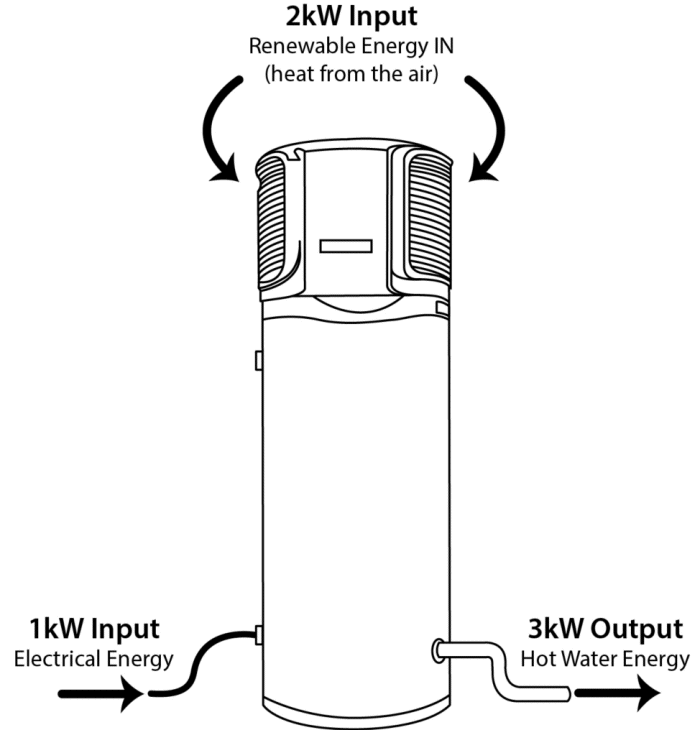 Figure 3.1 Energy flows in a heat pump hot water system. If you have a heat pump and it doesn’t need replacing any time soon, skip the rest of this chapter. You already have a very efficient hot water system that will soon be powered by your new solar panels. If your water heating is electric, chances are you don’t have a heat pump, as they are rare and more expensive than a regular ‘resistive’ hot water cylinder. A regular electric system is like a big kettle. One or two big kettle elements get really hot and heat the water. If you’ve got one of these then you need to find out if it uses a different, cheaper tariff than the rest of your home. This tariff is often called a controlled load tariff, and I described it in Step 2. 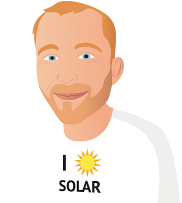 If your hot water cylinder is on a much cheaper tariff (and perhaps your slab heating and pool pumps too) then, financially speaking, offsetting it with solar is a low priority. Your biggest savings will come from offsetting your regular tariff that powers everything else in your home. If you have controlled load, you now have to make a decision. Do you leave your hot water and controlled load tariff alone, or do you go the whole hog and make your hot water solar along with the rest of your appliances? To help you decide, let’s see how much you’re paying to heat your hot water with your controlled tariff. If you have a year’s worth of bills, now is the time to get them out. Add up all the ‘controlled load’ line items for the year. That is how much you pay, per year, for hot water energy. Figure 3.2 is an example from a quarterly bill. Add these from a year’s worth of bills to see the most you could save in a year with solar hot water. Figure 3.2 Controlled load usage on a typical bill. Two-person households use around 4 kWh a day for heating water. Three- to four-person households use around 5 kWh. Households of five people or more use around 6 kWh. Reduce this by around 1 kWh a day if you live in Brisbane or Perth and by 2 kWh if you live somewhere hotter. Multiply this by your usage tariff, then multiply again by 365. As an example, in South Australia a four-person house will typically use 5 kWh x 365 days = 1,825 kWh. That will cost 1,825 kWh x $0.24 = $438 per year. Even the best grid-connected solar hot water system is unlikely to provide 100% of your hot water energy, so expect to save about 70% of that cost with solar hot water. Now you know the numbers, the choice is yours. If you have electric water heating and want to knock 70% to 80% off your water-heating bills, read on to discover your options for solar hot water. If your hot water electricity bill is surprisingly cheap then feel free to leave your hot water alone and I’ll see you in Step 4. The third scenario is that you’re building a home. I would strongly recommend designing your house to be 100% electric. You can have no initial and daily gas connection fees if you design solar hot water in from the outset. The rest of this chapter will show you your options.